The Nobel Prize for Literature for the year 2017 was announced today. It was awarded to Kazuo Ishiguro!!! This is a very deserving award. 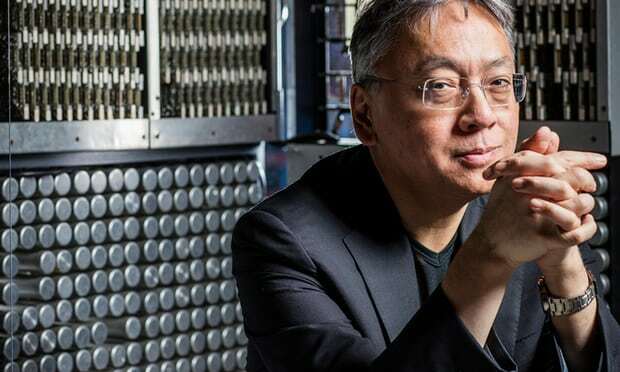 In the words of the Academy, the award was given to Ishiguro “who, in novels of great emotional force, has uncovered the abyss beneath our illusory sense of connection with the world”. Kazuo was born on the 8th day of November 1954, in Nagasaki, Japan. He has lived in England since he was five. He graduated from the University of Kent with a bachelor’s degree in English and Philosophy in 1978 and gained his Master’s from the University of East Anglia’s creative writing course in 1980. He is one of the most celebrated contemporary fiction authors in the English-speaking world, and has received four Man Booker Prize nominations, and winning the 1989 award for his novel The Remains of the Day. His 2005 novel, Never Let Me Go, was named by Time magazine as the best novel of 2005 and included the novel in its 100 Best English-language Novels from 1923 to 2005. His seventh novel, The Buried Giant, was published in 2015. Watch the Announcement of Nobel Prize For Literature in 2017 Here! 4 Literature Prizes have been divided between two persons. 88 years was the age of the oldest Literature Laureate ever, Doris Lessing, when she was awarded the Prize in 2007. 65 is the average age of the Nobel Laureates in Literature the year they were awarded the prize.